The D&AD's have announced the shortlist for this year's awards that celebrate the best in design, advertising and digital work from the past year. PETA '98% Human' continues it's awards success run with a nomination in the Special Effects category. 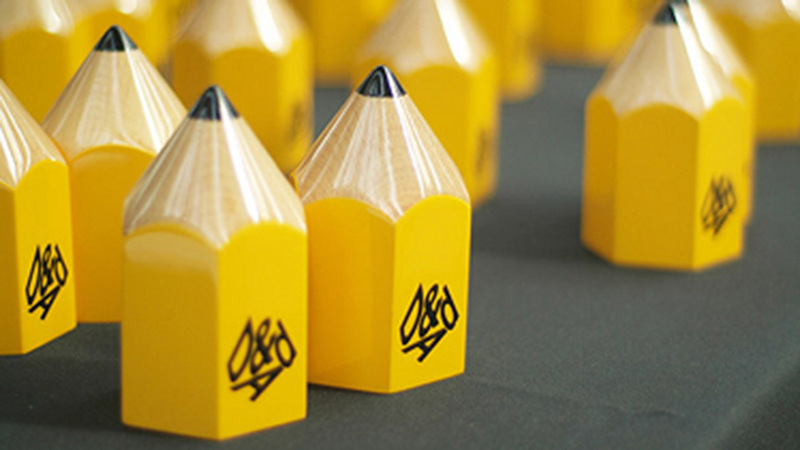 The iconic D&AD Pencil, one of most recognized accolades in the creative world, will be handed out to winners at the highly anticipated D&AD ceremony on Thursday May 22nd, which is being held at Battersea Evolution in London. As part of these celebrations The Mill will be collaborating with D&AD's to create the opening and closing title sequences for the night. The Mill also has three projects 'In Book' that will be featured in the D&AD's Annual, their collection of the year's best creative work. These include PETA '98% Human' in the Animation category, PlayStation 4's 'Perfect Day' for Special Effects and the Emmy nominated opening titles to the History Channel's 'Vikings'. Full shortlist available on the website.